Letter from Professor B. Lilliman (New Haven, CT) to Joseph B. Felt, Esq. (Boston, MA). Dated March 17, 1840. ISU Library Special Collections, American Statistical Association collection. 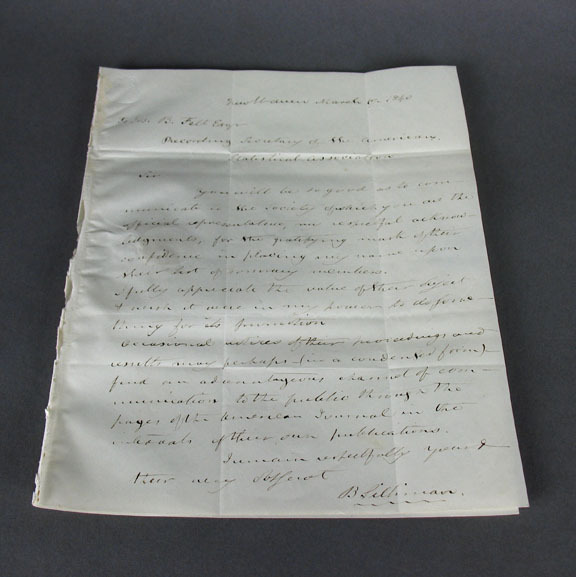 In celebration of Valentine’s Day, here is an example of an historical letter from the early 19th century, followed by a tutorial about how to post a (love) letter in the manner of that time period. 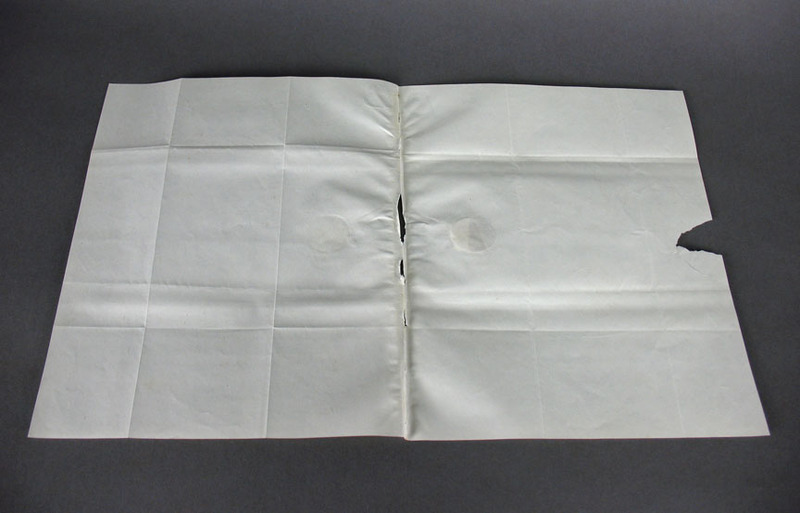 Envelopes came into vogue in the United States around the time of the Civil War. Before that, letters were written on a folio of paper (a double-wide piece of paper folded down the center). The contents of the letter were written on the front side (recto) of the first leaf. Recto of the first leaf, on which the letter was written. The second leaf of the folio wrapped around the first leaf, forming a protective enclosure, which could then be sealed with sealing wax and addressed to the recipient. 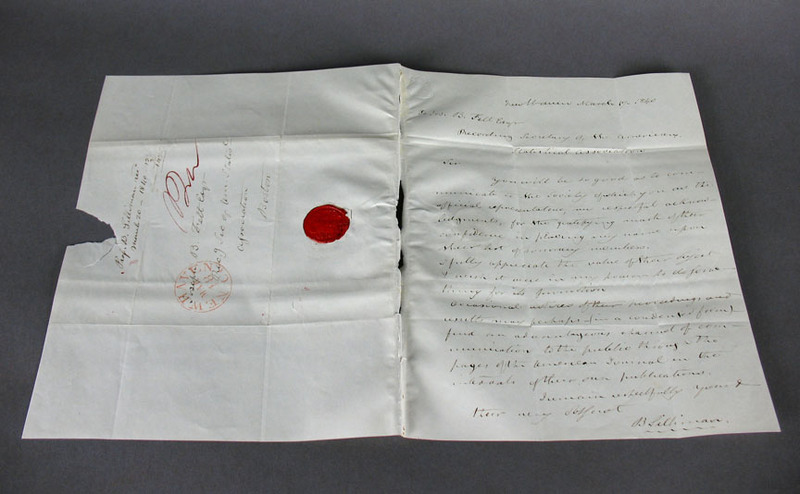 The return address was usually written just above the wax seal, while the recipient’s address was written on the opposite side of the folded packet. Because of the way the letter was folded, both addresses ended up being written on the back side (verso) of the second leaf of the original folio. Verso of the second leaf of the folio. The post office stamped its mark over the recipient’s address, and no postage stamps were used because, at that time, the standard protocol was for the recipient to pay upon delivery of the letter. Postage stamps first appeared in the U.S. in the 1840s, and only came into popular use during the second half of the 19th century. 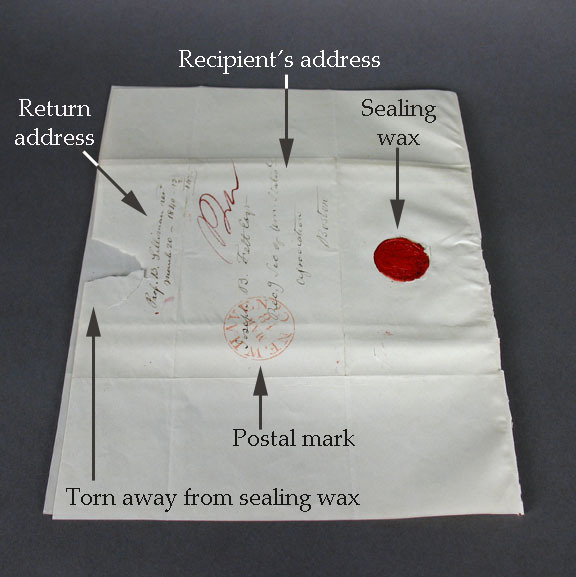 Archival letters from this time period often have tears and losses corresponding to where the sealing wax had held them shut; the paper tore when the recipient opened the letter. Often, the inside of the folio was left blank. Sometimes, longer letters were continued onto the verso of the first leaf. Start with a sheet of 11″ x 17″ paper. Fold the paper in half along the center, resulting in a folio that is 8 1/2″ x 11″. Write your letter on the recto of the first leaf of the folio. Folding the first leaf only, make a lengthwise crease at slightly less than one-third of the width. Now, crease the folded first leaf in half lengthwise. Rotate the letter one quarter turn, so that the folded letter is now across the top. Fold in the right edge of both leaves to the center of the folio. Repeat on the left. Turn the letter one quarter turn again, so the folded-up letter is on the right. 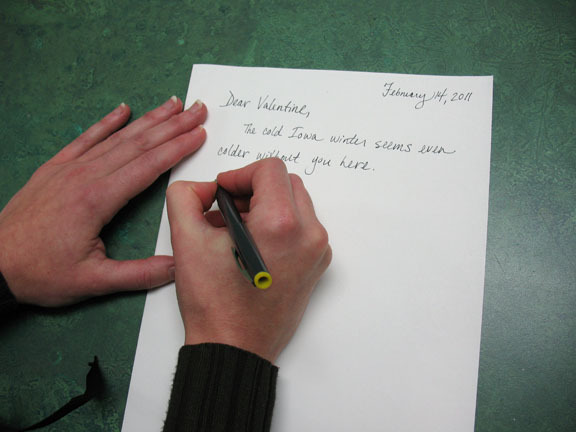 Fold the letter in toward the center of the “envelope” and crease. 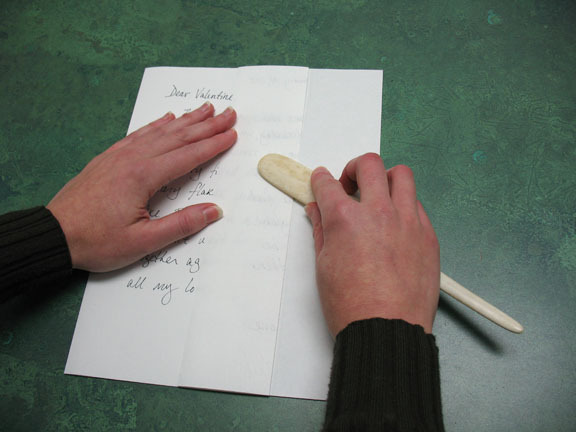 Fold the letter over to the left once more to crease the small flap down. Address the letter to your Valentine. Flip the letter over and write your return address on the flap. Seal the flap shut with sealing wax or an adhesive sticker. Thank you for this, it also explains the origin of the 8 1/2″ x 11″ sheet of paper that we use today!